This defense includes Richard Sherman (CB), Jeremy Lane (CB), Earl Thomas (FS), Kam Chancellor (SS), Michael Bennett (DE), Cliff Avril (DE), Bobby Wagner (MLB), Malcolm Smith (Super Bowl MVP) (OLB), and K.J Wright (OLB). This defense includes Von Miller (OLB) (2015 Super Bowl MVP), Demarcus Ware (OLB), Brandon Marshall (MLB), Darian Stewart (S), T.J Ward (S), Chris Harris Jr. (CB), Aqib Talib (CB), Bradley Roby (CB), and Derek Wolfe (DE). 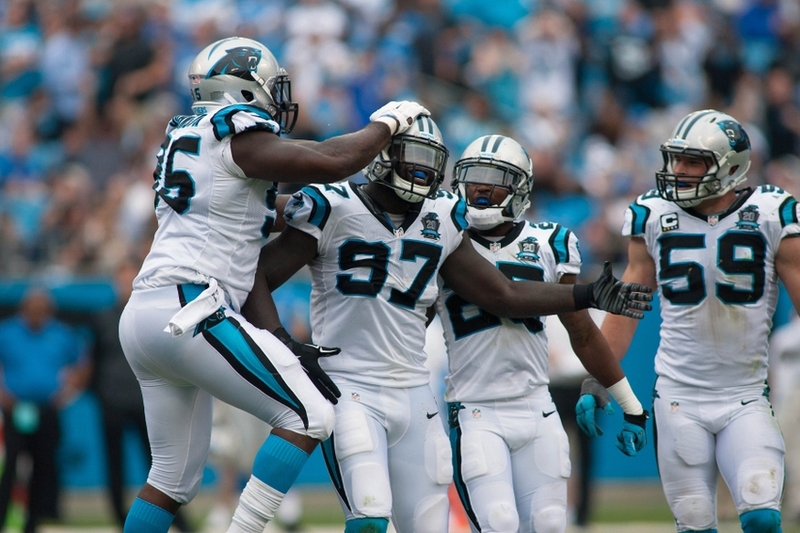 This defense includes Luke Kuechly (MLB), Thomas Davis (OLB), Shaq Thompson (OLB), Kawann Short (DT), Star Lotulelei (DT), Charles Johnson (DE), Kony Ealy (DE), Kurt Coleman (SS), and Tre Boston (FS). This defense includes Calais Campbell (DE), Chandler Jones (DE), Tyrann Mathieu (FS), Deone Bucannon (SS/LB), Patrick Peterson (CB), Tyvon Branch (CB), Mike Jenkins (CB), Justin Bethel (CB), Corey Peters (DT), and Daryl Washington (MLB). This defense includes Justin Houston (OLB), Tamba Hali (OLB), Derrick Johnson (MLB), Sam Barrington (MLB), Dontari Poe (DT), Allen Bailey (DE), Ron Parker (CB), Marcus Peters (CB), Phillip Gaines (CB), Daniel Sorenson (CB), and Eric Berry (SS).